DO YOU HAVE A PROFESSIONAL SKILL OR TRADE? In most cases, in order to work in Canada, the foreign worker will need a work permit. However, there are a number of circumstances where you may be able to work in Canada without a work permit. There are also a number of other ways to work in Canada without undergoing the traditional work permit application process, including work permits granted for working holidays, post-graduate work permit or permits issued under international agreements, such as NAFTA. These programs make it possible for thousands of new immigrants and their families to move to Canada each year. Canada’s Express Entry system is the new selection process for Immigration to Canada, designed to select skilled workers for immigration to Canada. 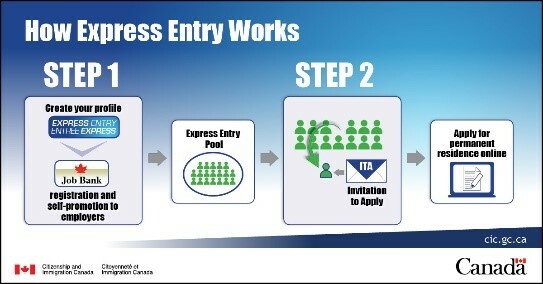 The Express Entry system allows skilled workers to apply for permanent residence and a possibility of immigrating to Canada in as little as 6 months. Each applicant is assessed according to their age, level of education and work experience. Employers will then be able to select new employees from a pool of candidates. Qualified candidates now stand a better chance of being selected and invited to apply for work in Canada. This new streamlined system means that processing times are greatly reduced. The Federal Skilled Trades Class (FSTC) allows individuals with job offers or appropriate certification to work in certain occupations to obtain Canadian permanent residence in any Canadian province or territory other than Quebec. The CEC is a permanent resident category for individuals with skilled work experience in Canada. It was designed for temporary foreign workers and international graduates with qualifying work experience. The Canadian Experience Class offers students with Canadian work experience the fastest and simplest path to achieving permanent residence. International Experience Class (IEC) is a travel and work program to bring youth and young adults to Canada on a temporary basis for up to one year. Citizens of participating countries with a bilateral youth mobility arrangement with Canada, offers this unique program to young adults between 18 and 35 years old opportunities to be eligible to travel and work in Canada. QUESTIONS ABOUT IMMIGRATION? ASK OUR EXPERTS.